Nurse Practitioner Programs and NP Schools Across the U.S. Earning a nurse practitioner degree is a fantastic way to hone your nursing skills and transform patient care in your community. Keep reading to learn more about how to become a nurse practitioner. You’ll also find out how much nurse practitioners earn and what the job outlook is like. There are quite a few specialized areas of study in this career path, and you can get more information on each option. Get started now by searching for NP programs near you using the “Schools Near You” box. In addition to providing information about what nurse practitioners do and how to become one, this page also includes real interviews with four experienced nurse practitioners who tell you what it’s really like to work in the field. We feature one video and three text interviews, making sure we cover all your most pressing questions about becoming and working as a nurse practitioner. Nurse Practitioners are Advanced Practice Registered Nurses who gain advanced training and specialized education that allows them to provide higher levels of care than registered nurses. They often focus on a specialized area, like pediatrics, geriatrics, mental health or adult medicine. Family nursing is a popular choice for nurse practitioners. Careers in women’s health nursing are also common, as many states allow NPs to work as an independent midwife. Similar to a doctor, nurse practitioners have a graduate-level education and may perform physical assessments, diagnose illnesses, order and analyze diagnostic tests and procedures, manage patient treatment and prescribe medications. NPs are becoming more and more important to medical teams working in hospitals and healthcare facilities because their advanced education allows them to take on tasks typically left for physicians. As an NP, you may be hired by a hospital or doctor’s office working with an individual physician or a team of doctors, as some states require nurse practitioners to work under supervision. However, some less restricted states may allow you to practice independently, which is becoming more common in the industry. If you want to become a nurse practitioner, you will need to earn a graduate degree. Some graduate programs may require you to have a BSN for admission or, depending on the school, you may be able to join a graduate program with a related health or science bachelor’s degree. Below you’ll learn what courses may be required. Human Anatomy and Physiology – Teaches students the basics of a human body, including cell physiology, histology, integumentary, skeletal, muscular, nervous and sensory systems. Ethics in Nursing and Health – Introduces students to developing ethical expertise when it comes to health and nursing. This course focuses on issues that raise personal and professional ethical concerns, such as cultural differences, economic constraints, current legislation, political and religious controversy and other ethical dilemmas. Community Health – Focuses on disease and illness prevention and management of communities that are at risk. Public health and policy is covered in this course as well as budgeting, epidemiology and biostatistics. Health Care Policy – Teaches students to think critically on policy issues as well as financial and political impacts on policy issues in the health care system. Advanced Pharmacology – Learn prescription guidelines, drug interactions and side effects for pharmaceuticals. Clinical Practicum – Gain hands-on experience working as a nurse. The number of clinical hours required varies by state and program. Health Care Leadership – These courses are intended for manager-level nurses or executives, as it explores finances, business and health policy, and research in health services. Genetics/Genomics in Health Care – Explores the molecular basis of genetic diseases, inheritance of disease and distribution of genetic diseases within populations or communities to expose students to research endeavors and clinical care. In addition to the above options, there are multiple specialty tracks and certifications that can be added to many degree programs, which prepare you for specific settings and/or patient populations. In most cases, the primary focus areas can be combined with a specialty track, resulting in programs such as Family Mental Health Nurse Practitioner, Pediatric Oncology Nurse Practitioner, Adult or Pediatric Acute Care Nurse Practitioner, and so forth. If you already have an area of practice in mind, or a specific patient population that you prefer to work with, you may be able to find a program easily simply by requesting materials from the schools listed on our site that are noted to offer what you are looking for. You will want to learn more about clinical and course requirements, as well as admissions procedures at each of the schools you are interested in. If you are uncertain about what type of NP program may be right for you, we recommend requesting information from several different schools, with a variety of programs, in order to learn more about each. No matter what type of graduate level nursing degree you obtain, the curriculum to become a nurse practitioner is similar to that of an advanced practice registered nurse with specialized education and training in a particular area. In a growing number of states, nurse practitioners are gaining doctorate degrees and practicing independently, often as primary care providers specializing in women’s health, pediatrics or adult/geriatric care. Because over half of the United States now allows nurse practitioners to practice independently, there is a growing need for nurses with a DNP degree. According to the Bureau of Labor Statistics, jobs are expected to grow much faster than average at a rate of 31% until 2026. Not only are jobs growing because nurse practitioners may be more cost-effective than traditional doctors, they also have a higher satisfaction rating among their patients and fewer unnecessary ER and hospital visits. On average, nurse practitioners make $104,610 per year (BLS, 2018). Many also enjoy additional benefits, such as flexiblework schedules, educational opportunities, and sometimes even childcare services. Many independent nurse practitioners find work in rural areas, urban community health centers, college campuses and other health care locations. In 2017, nurse practitioners in a university setting made an average annual wage of $96,750 (BLS) while those working in a physician’s office made an average of $103,030 annually. Nurse practitioners may also work for health care technology companies, a research setting or teach in universities. According to the BLS, nurses offering technical consulting services made an average of $132,010 yearly. Salaries often vary by state, especially because not all states allow nurse practitioners to practice independently. You can search for salary info for your state on the right using our state pages. Below, BestNursingDegree.com speaks with family nurse practitioner, Margaret (Peg) O’Donnell, RN, NP. O’Donnell works in one of the busiest family practices in Long Island, New York and was previously awarded the New York State NP Advocate Award by the American Academy of Nurse Practitioners. She is also the former president of the Long Island Chapter of the Nurse Practitioner Association of New York State. Expert Advice – What Does a Nurse Practitioner Do? Nurse Practitioners provide a unique blend of nursing with medical care. Many have been practicing as registered nurses for many years prior to becoming a NP. This extensive background in nursing gives them a different perspective from the traditional medical model practiced by physicians and PAs (physician’s assistant) in that they treat the patient as a “whole person,” not just the complaint or problem. For example, a patient may come in with symptoms as simple as a sore throat. An NP will deal with that, and ask “is there anything else bothering you today?.” NPs are skilled, therapeutic listeners and can “hear what patients can’t or won’t say.” Patients typically feel very comfortable with an NP. I had a female patient tell me once that, “No one in the medical field has ever listened to me prior to this visit.” We went on to have a close, professional relationship for several years. NPs’ duties include educating patients, especially about preventative measures such as tobacco cessation, diet and exercise programs, and how to make healthier choices. They diagnosis and treat acute and chronic conditions such as high blood pressure and diabetes, infections and injuries. They prescribe medications, order diagnostic tests, lab work and x-rays. They work collaboratively with other health care providers and refer to specialists. They report high patient satisfaction because they take time with their patients and really listen. In many states NPs can practice independently after working full-time for 2 years under a physician’s supervision. This means they can have their own patients and manage their overall care. NPs practice in rural, urban and suburban communities and practice in many types of settings. These include clinic, hospitals, private physican or NP practices, nursing homes, correctional settings, schools and colleges. As an NP starting out I worked in Family Practice and Internal Medicine for several years to become proficient in all aspects of patient care. I also worked per diem in a Correctional Facility. That experience was fantastic. It was so satisfying to help a population that tends to be forgotten. I have worked in Gastroenterology, Orthopedics and am currently teaching in an LPN program. I have found being an NP is extremely satisfying and offers a variety of employment opportunities. What is Master’s in Nursing and Nurse Practitioner Degree? There are so many opportunities for nurses with graduate degrees. A graduate degree (MSN or NP) begins a specialization process that will influence your career options. To decide which degree is best for you, first consider what you like about nursing? If you have a strong interest in diagnosing and treating illnesses, you may prefer a nurse practitioner (NP) position and therefore seek a graduate degree in an NP specialty. If you prefer managing and improving the systems of nursing care delivery or gravitate toward developing new staff members, you may wish to pursue a master’s degree in nursing (MSN). This degree will help you move into a nurse manager position or a nursing faculty position. Which degree will help you find a job? Either an MSN or an NP degree will open doors. There is a projected increased need for Nurse Practitioners and Master’s Prepared Nursing Faculty in the decade ahead. You have prospects for an advanced position no matter the route you select. The American Association of Colleges of Nursing (AACN) developed a Nursing Faculty Shortage Fact Sheet that outlines some specific needs. Almost two-thirds of schools of nursing listed faculty shortages as a reason for turning away potential students. The average age of nursing faculty is advancing, indicating future need due to retirement. Another reason cited for the current shortage of nursing faculty is the salary comparison to the clinical sector. The average salary of a US nurse practitioner, according to the American Academy of Nurse Practitioners, is $89,450. By comparison, the average salary of master’s prepared nursing faculty is $69,489. What are the pros and cons of an NP degree? An MSN? Considered only from the salary perspective, the nurse practitioner degree would be the most promising. In addition, Money Magazine, among other sources, lists Nurse Practitioner as one of the Best Jobs in America. Job growth over the next decade is projected at 23 percent. 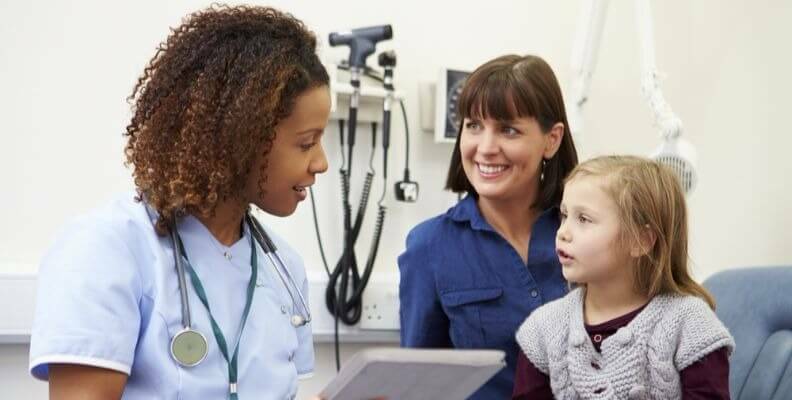 Nurse practitioners are a cost-effective method of providing health care in many areas of the country making it a position of interest in the health care reform currently underway. Some states already allow nurse practitioners to practice independently of physicians, and there has been a push for expanding the nurse practitioner role in other states as well. With all the positive aspects of the position come some challenges, including dealing with a potentially heavy workload and ‘haggling’ with insurance companies. Nurse educator positions can also be very satisfying, though challenging, jobs. The lower salary may come with greater flexibility and increased down-time. Faculty positions may blend well with other obligations or include reduced tuition benefits for dependent children. Overall, you cannot go wrong with an advanced nursing degree if you are careful to evaluate your preferences and the job opportunities in your geographic location. For starters, medical doctors (MDs) go to medical school and nurse practitioners (NPs) go to nursing school. MDs go to school for a minimum of eight years whereas NPs go for six. There are also legal differences in terms of what MDs and NPs can do with patients. MDs can prescribe drugs, but NPs can’t do that in all states. Both MDs and NPs can function independently or as part of a healthcare team, so either one could open an office and start seeing patients, but NPs are more limited by state laws in terms of what they can do for patients and what they can bill insurers for. MD licensure can be used across state lines, which is not true for NPs who are required to get a separate license for each state where they practice. MDs are trained from a medical practice model, which has a problem-focused illness approach, whereas NPs are trained from a nursing practice model, which has a holistic preventive approach. Nurse Practitioners are trained health educators and work well in settings where disease prevention and wellness can be emphasized. However, NPs also commonly work in acute care settings like clinics and hospitals and treat sick patients, working side-by-side with MDs. Because NPs are trained to look at the whole person, not just the part that’s creating a problem, they may spend more time educating patients and family members on ways to prevent problems, as the work setting allows. MDs earn more than Nurse Practitioners and they often have greater legal responsibility, in some cases supervising the work of NPs. NP salaries, like MD salaries, vary depending on the specialty. I have a brother who is an emergency room doctor and a sister who is an MD in a family practice setting. They have very different lifestyles because of their work schedules and there is a big difference in what they make as well. Of course some of the pay difference has to do with location and years of experience, and also who they work for. My sister, the family practice doctor, works for the state, has great holidays, and makes a good living. My brother works for a private hospital, has what I consider a non-family conducive schedule, and makes a really good living. Now my brother-in-law is a NP who switched from a higher paying emergency room position to a clinic position, mainly so he could have more time with his family. The nice thing about nursing is the ease with which you can move around, but compensation is often less in environments that are less stressful, and that’s true for both medicine and nursing.